Sen. Marco Rubio said he's seen "no evidence" to support the president's claims. 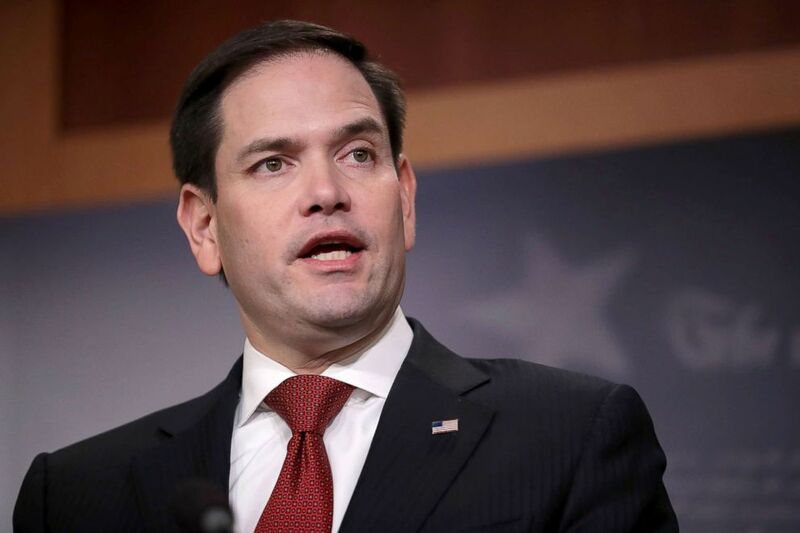 Republican Sen. Marco Rubio said he sees "no evidence" to support President Trump's claims that the FBI used an informant to gather information on his campaign, but that instead the federal probe was focused on "individuals with a history of links to Russia that were concerning." "What I have seen is evidence that they were investigating individuals with a history of links to Russia that were concerning," Rubio, a Florida senator who sits on the Senate Intelligence Committee told ABC News Chief Global Affairs Correspondent and "This Week" Co-Anchor Martha Raddatz on Sunday. (Chip Somodevilla/Getty Images) Marco Rubio talks about bipartisan legislation to create "red flag" gun law during a news conference at the U.S. Capitol, March 22, 2018, in Washington, DC. "As far as what I have seen to date, it appears that there was an investigation not of the campaign, but of certain individuals who have a history that we should be suspicious of, that predate the presidential campaign of 2015, 2016," Rubio said on "This Week." "And when individuals like that are in the orbit of a major political campaign in America, the FBI, who is in charge of counterintelligence investigations, should look at people like that." The president has claimed repeatedly there was an FBI "spy" in his presidential campaign. Rubio said he thinks the president and his lawyers are "reacting ... they’re responding to what, what they’re facing and the things that are happening to them." He added, "If there is an FBI informant or any sort of inappropriate action that’s been taken targeting a political campaign, the president’s or any, we want to know about it and it should be punished."